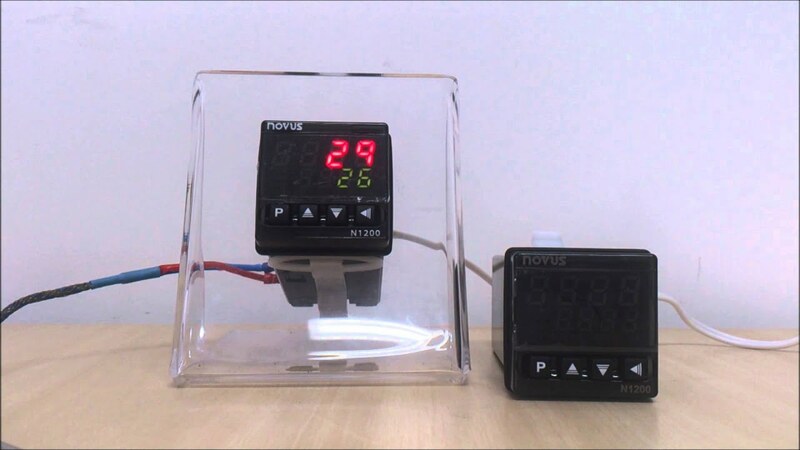 Product Review: NOVUS N1200 Universal Process Controller We’ve never reviewed controllers here on Visaya, have we? I mean, we’ve talked about them and had products with control-type features, but not an honest-to-gravy proportional-integral-derivative (PID) device like NOVUS’s N1200. I had a guy call once to apply for a position. We’ve never reviewed controllers here on Visaya, have we? I mean, we’ve talked about them and had products with control-type features, but not an honest-to-gravy proportional-integral-derivative (PID) device like NOVUS’s N1200. I had a guy call once to apply for a position. When I asked him the basic element of a control system, he didn’t know. So can you guess who didn’t get the job? A control system has three basic units – primary element, controller, and final element. The primary element measures the process variable, the controller monitors and adjusts the process for the setpoint, and the final element actuates in the process based on the controller’s output signal. The N1200 fills in as the second piece to that three-piece puzzle. Let’s dive into its features, possibilities, and so on. Stick around, and we’ll find out together! You won’t believe what you can do using this little device (48 by 48 by 10 millimeters)! Once you install it on your panel, you can use the local display and its push buttons to set it up. The display shows up to 8 digits and some indicators as well as your setup menu. You can learn how the setup flow works, but you’ll save time using the USB port to set it up with the NConfig software. It has a good user interface and nearly transparent communication between the software and the controller. The Novus N1200 can control processes in many segments and applications. It can also read different thermocouples, RTDs, analog sensors, and more. For output, you can get analog, solid-state pulse, and a few relay switches. Besides that, you also can get an optional Modbus RTU up to 115.2 kbps. Not bad, huh? As a standard process controller, it has the PID function. It runs an algorithm to monitor the process and auto-adjusts to find the best performance. And who doesn’t want a self-adaptive, auto-tuning PID? For alarms, the N1200 has different specs to set the alarms on, such as differential, minimum, maximum, open sensor, and event. Because the N1200 from NOVUS gives you a bunch of features at a reasonable price and the ability to buy still more features. On the downside, you have limited number of inputs. Depending on your application, you may have to pick something else. But back to the features. You can get a remote setpoint selection, sensor break detection, and heater break alarm, which gives you a fancier controller. Also, you can set a password to protect your parameters. No touching! NOVUS offers a pretty good budget device in the N1200. It has a bunch of features as standard and more features if you want them. Take a look at the Novus N1200 page on Visaya to learn more and download the documentation. You can also check out similar devices on the right side of this article.